I’ve been a family nurse practitioner for 20+ years, recently semi-retired to raise my daughter. I’ve been fly fishing for 7 years. Fell in love with the sport after catching my first rainbow trout on the Yakima river. I want everyone to enjoy the sport like I do. Born and raised in Seattle Ruth has always loved and called the PNW home. At the same time her roots and heart lie in Monument Valley, UT where her mother is from. She is Navajo from my mother's side and Oglala Sioux from her father's. She has always felt the most comfortable being outside and discovering new lands, people and cultures. Her father was a fishermen and taught her sisters and her how to fish as soon as we could walk. However, she discovered fly fishing while in Graduate school in the fall of 2014 and fell absolutely in love with it. For her it's the time she has with herself. It's a time to think, reflect and pray. Each cast, mend and drift allows the perfect opportunity to be patient and at peace. Fishing has become her escape from all the busyness of life, from worries and problems and given here praise and confidence which inevitably are healing necessities. "It gives me something to look forward to, something that can completely take me away in thought when I need life to let me breathe and reground again." As a foster mom to her eldest nephew she has seen first hand how fly-fishing can change a young persons life. She has the hope of being able to pass this type of happiness on to other children who could benefit from something stable and healthy in their lives, they way that fly-fishing does for her and her nephew. I grew up fishing the lakes of Minnesota, and when I lost my close link to water during my college and early career years as a research scientist in TX, I felt like a piece of me was missing. 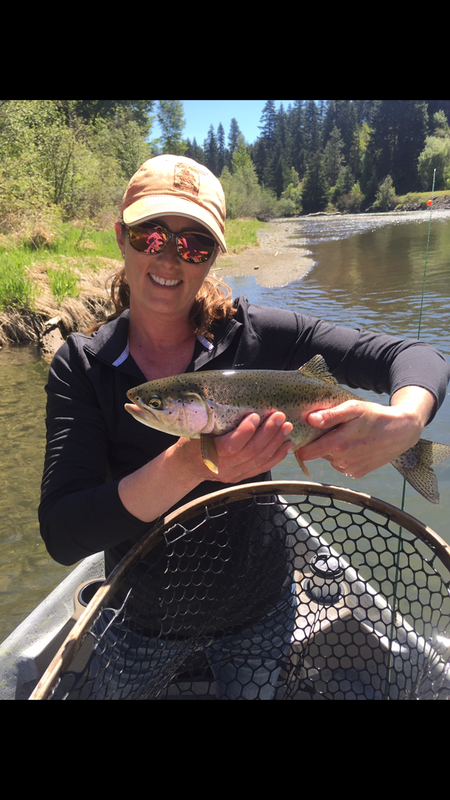 We moved to WA in 1994, and when my two daughters (now teenagers) were toddlers, I picked up fly fishing as a way to connect with the outdoors of the beautiful Pacific Northwest, and I never looked back! Wandering the shores or paddling the waters of Washington’s rivers, lakes and inland seas with a fly rod never fails to bring a smile to my face and a sense of calm to my soul. I’m so excited for the opportunity to share that awesome feeling of exploring shorelines, casting a line, and connecting with a flashing, silvery slice of wild! I was Born in Albuquerque New Mexico, raised in Washington State. I have always enjoyed the outdoors and have been fishing since I was a kid. Mostly on the Puget Sound and local area lakes. I got introduced to flyfishing about 3 years ago and I'm hooked for good! I can truly say that although I love the fishing, It's about so much more. I'm currently planning my bucket list of fishing destinations & I hope to see you on the river! I started fly fishing about 4 years ago and fell in love with it. I have tried to get out on the river as much as I can ever since then. I took up fly tying and have enjoyed learning the patterns and techniques of different flies used on our local rivers. I own a small construction company specializing in finish carpentry. I’ve always had an interest in how things work and enjoy learning new skills. and now has her own photography business. and is absolutely in love with the sport. Her happy place is any river. and has lived the past 21 years in Seattle. Born in raised in Alabama, Cory spent hot summer days fishing small ponds and saltwater while visiting family in Florida. 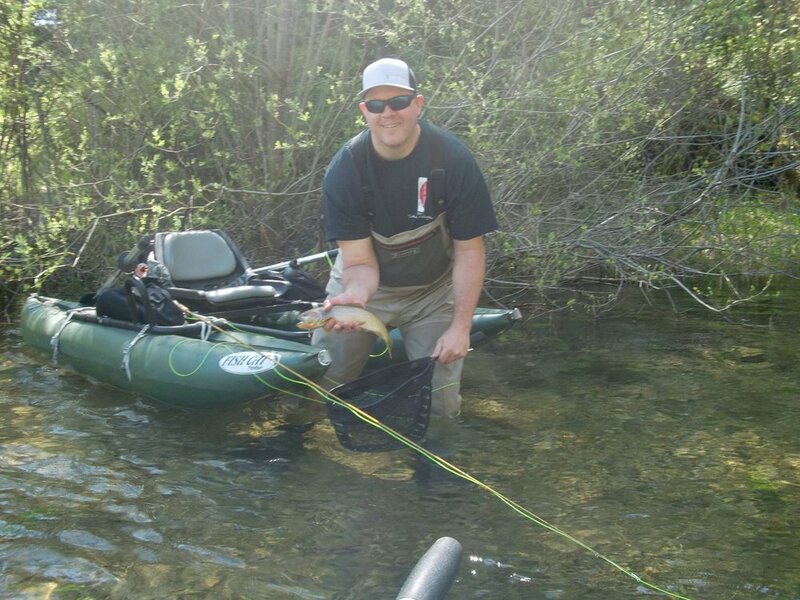 After college, he decided to pick up a fly rod on whim and hasn’t looked back since. While living in Washington state, Cory fishes small mountain streams, alpine lakes, large tailwaters, and cold rocky beaches for salmon and his beloved sea run cutthroat trout. After moving to North Carolina and becoming a full time Stay at home Dad, things came full circle to fishing for warm water species and the Florida salt. Cory considers himself an equal opportunity fly fisher by chasing anything that will take a fly, and is always looking for an opportunity to explore a new fishery. The Mayfly Project is his perfect opportunity focus and share this passion to others! For the past 23+ years, Jane has built her professional toolkit in teaching, coaching, professional development, and is a school district Director of Instructional Technology with a focus on project-based learning, blended learning, STEAM education, and the integration of technology within learning. 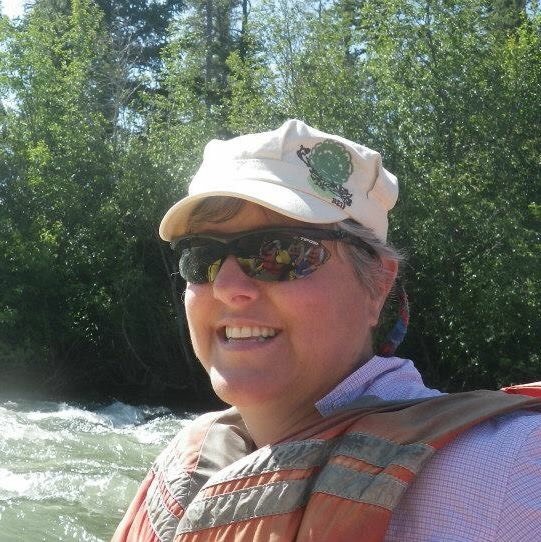 When not advocating for equitable 21st learning environments for students and learning along with her teachers and administrators, Jane is known to mentor classes in fly fishing as they learn about conservation during the Trout in the Classroom project or taking time with the high school scholar she mentors as he learns to fly fish or refine his coding skills. In her free time with her husband, Jane enjoys wading the rivers and oceans as she refines her fly fishing skills. She can even be seen lounging in the woods in her reclining camping chair with her e-reader. The Mayfly Project opportunity brings together her love of children and her hobby of fly fishing. Sharing and supporting children in foster care through fly fishing offers the opportunity to explore conservation and the great outdoors that will make a lasting impression on both the children and Jane herself. Mike grew up in Southern California where he enjoyed fishing, surfing, and year-round sports. Between graduating from a community college and transferring to the University of La Verne, where he met his wife Jane and graduated with a degree in Philosophy, he worked as a deckhand on a sport fishing boat out of Seal Beach CA. The sport of fishing has been a long-time passion but it was not until he moved to Washington in 2003 when he began to learn to fly fish. It has become such a passion that after visiting Belize, where he and Jane first learned to saltwater fly, he dreams weekly of hitting the flats in search of stalking Bones, Tarpon and Permit. In his everyday life, Mike is a counselor that has had the opportunity to work with foster youth in high schools, community colleges, and universities. His professional mission is helping students to become what they want while managing the obstacles that life throws at all of us from time to time. Professionally, his sweet spot is working with students transitioning from high school to community college and then on to universities. He spent the last five years as a community college counselor at Spokane Community College, prior to moving to the Seattle area. Allison was born and raised in the Kansas, and spent summers in her youth swimming and fishing for bluegills in the Ozarks. After taking a break from fishing while living in Europe during high school, Allison moved to the Pacific Northwest for college and fell in love with the mountains, lakes and rivers. She discovered fly fishing in 2015 and spends as much time as possible on Cascade mountain creeks. Allison is excited to share her enthusiasm for fly fishing! I was born and raised in Willow, Alaska. I moved to Seattle about 2 years ago where I now have my own chiropractic practice. Before my chiropractic journey began I was a fly fishing guide in my home town of Willow, AK where my brother and I started Reel Fly Adventurez back in 2009. I have a deep rooted passion for the outdoors and I absolutely love helping others have the time of their life on the water. See you out there! A native of Florida, but calling the Seattle, WA area her home since 2017, Casey has been fishing since she was old enough to hold a rod. Her earliest memories involve the outdoors and learning to fish on the waters of Florida with her family. Her favorite memory is of her grandfather practicing his casting accuracy in the backyard, using a tea cup for a target. Casey has found peace and healing in the outdoors and recently in fly fishing. She is passionate about introducing others to the outdoors, breaking the barriers down, and taking the intimidation away. She is excited to be a part of the Seattle Mayfly Project! Ben is the Spokane County Program Quality Manager for School's Out Washington, a non profit that provides services and guidance for organizations to ensure all young people have safe places to learn and grow when not in school. Raised in Washington State, he grew up with constant access to the great outdoors. Ben often found himself casting a line into the Spokane River or just exploring all that nature has to offer. Ben has been fly fishing for his entire life but has made it his passion over the past several years; finding that it’s not only fun but highly therapeutic. When he’s not on the river he can usually be found spending time with his wife, four children, dog, and 28 chickens. Ben also serves as President of the Board of Directors for the Riverside State Park Foundation.